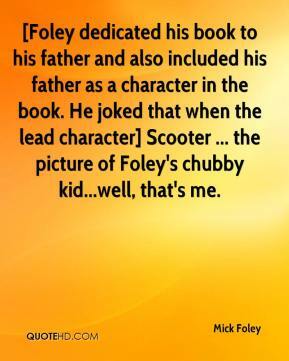 [Foley dedicated his book to his father and also included his father as a character in the book. He joked that when the lead character] Scooter ... the picture of Foley's chubby kid...well, that's me. 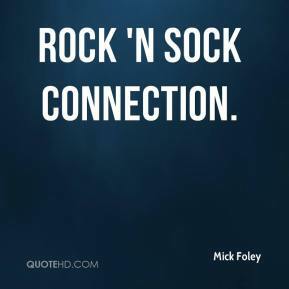 Love wrestling? On October 1st, Spike TV gives you more of what you love! Total Nonstop Action. 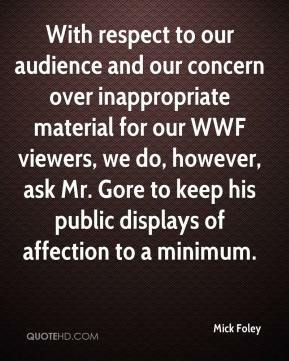 With respect to our audience and our concern over inappropriate material for our WWF viewers, we do, however, ask Mr. Gore to keep his public displays of affection to a minimum. Edge was tremendous. 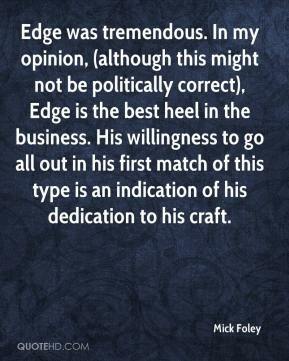 In my opinion, (although this might not be politically correct), Edge is the best heel in the business. His willingness to go all out in his first match of this type is an indication of his dedication to his craft.